Writing about their unique selling propositions and why patients should choose them is a topic that’s pretty much somewhere on every dentist’s website and/or blog. usually consisting of the steps dentists take to make visits more comfortable for their patients. This might include LCD screens on the ceiling, pleasant music, aroma therapy, and a spa-like environment. All that is great, and we at Healthy Smiles Dental Group fully believe in providing that kind of environment for our patients – an environment that’s not clinical, where they can relax and browse some beautiful magazines, and other similar features. Real reason why patients should choose us? While I’ll talk a little bit about what Healthy Smiles does on an everyday basis to create that kind of an environment, the main focus of this post is to talk about the real reason why patients should choose us when it comes down to the real nuts and bolts of it – a topic that I think is extremely important sort not spoken about enough. In order to understand my patients’ perspectives better, I conducted surveys with all of my patients to ask them what truly drew them to us. New patients that would come to my practice for the first time. I would ask them what it was about our practice that made them travel 15-25 km to visit us, some even travelling over 150 km just to come and see us. What I found was very interesting, and through this I hope to give some perspective to any person who’s reading my website or blog as to what it was that prompted others like themselves to choose Healthy Smiles Dental Group for our dental services and specifically me, Dr Ved Berani from Healthy Smiles, Principal Dentist and Director. I’d love to share some of these findings with you through a two-part series essentially on why our patients choose us and why you should too. Many of them went on to elaborate that there is a sense of calm in my practice at Healthy Smiles Dental Group that speaks of honesty, integrity and bending over backwards to deliver for their patients. One of the things that came up as a key message was that a lot of my patients that come and see me, especially some of the new patients, have been to about 3-4 other dentists, and have found that these dentists do not actually listen to them. They have their own agenda, they decide within the first 2 minutes of looking into their patients’ mouths the treatment(s) they want to do for them, and then drive the consultations based on what they think is best for the patient. While that’s understandable because as a clinician you want what’s best for the patient, where does this put the patient in terms of where their interests and goals are? At Healthy Smiles we listen to our patients from start to finish. 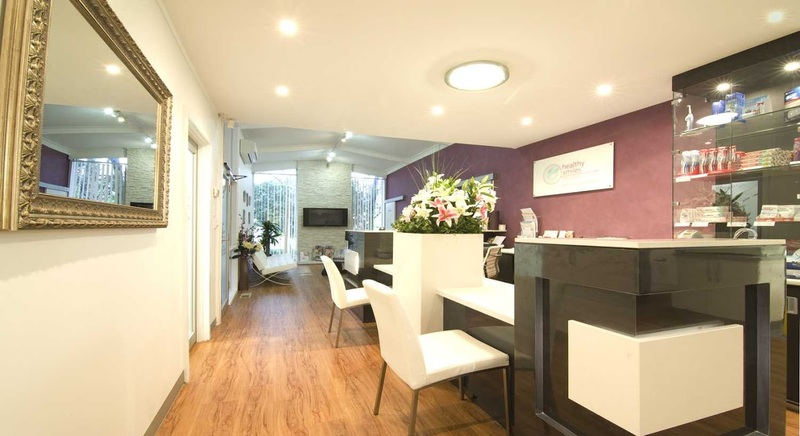 We believe that our philosophy is the keystone to our practice, the foundation of which is that we ensure patients are comfortable, we listen to them, we delve deeper into their concerns and anxiety, and we try to get to the root of the issues if they have any phobias or fear of the dentist. Because obviously, what dentist would want to hurt their patient, right? So it’s a given that we do not actually hurt our patients. However, the fact is that many patients have always felt such statements to be a deep cause of anxiety. So what we do at Healthy Smiles is that we actually make sure we put the control back into our patients’ hand. We very promptly tell our patients upfront that they’re the ones who are going to be driving the treatment in the chair – we will stop their treatment when they feel uncomfortable. They tell us when they don’t like something, they sit up when they want a break, and they can have a glass of water when they want it. That’s why we schedule longer appointment times to provide enough time for our patients to make the calls during consultations and treatments. This helps them better understand what we do, and open up to us with respect to the dental issues that have been really bothering them over the years. Bear in mind some of these patients haven’t been to dentists in 10-20 years. It’s important for us to understand where they come from because trust can’t be developed if we don’t have that understanding. From this mutual understanding we want to make sure they know that we’re not here to sell them anything. We are a specialty dental practice dealing with dental implants, cosmetic dentistry, digital smile design, and sleep dentistry. Our role as dental practitioners is to provide all possible options – doing nothing, short term solutions and long term solutions – to our patients, and ensure they understand the consequences and associated costs of all these options, and most importantly the damaging effects of existing conditions. This helps them experience the relief and comfort necessary to go ahead with whatever decision they make. This policy has been the key milestone that our practice achieved about 10 years ago, when we decided we didn’t want to come across as being the arrogant dentists who believe they know it all – we actually want to make sure our patients are the ones who drive every treatment in the practice, and this includes making sure they know what the best options for themselves are and they make decisions fully informed of their condition. Because of our beliefs and the way we do things here at Healthy Smiles Dental Group Blackburn South, a strong trust-based relationship between our patients and practitioners is the top reason for our patients choosing us. Stay tuned – in my next post, I’ll talk more about some of the other reasons we found through our surveys! In the meantime, if you’d like to know more about the Healthy Smiles experience, feel free to give us a call on 9877 2035 or email us at info@healthysmiles.com.au we’d love to help you out with any questions you may have!